Nineteenth-century mathematical model of a ruled surface, Institut Poincaré. Courtesy of Peter Crane. 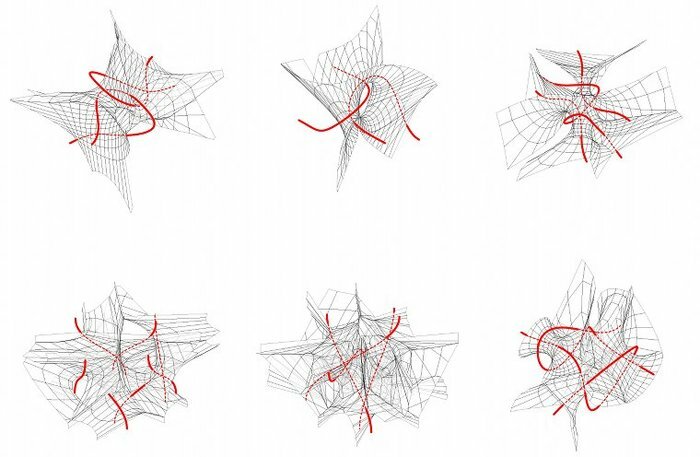 Digital and parametric designs are often misleadingly regarded as emerging from uniquely late twentieth-century conditions such as the advent of the computer or a rapprochement of design with engineering. 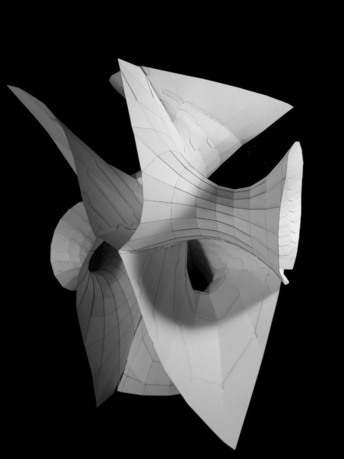 In fact these developments are rooted in design's historically recurrent, if tentatively studied, relationship to the mathematics and science of shape. 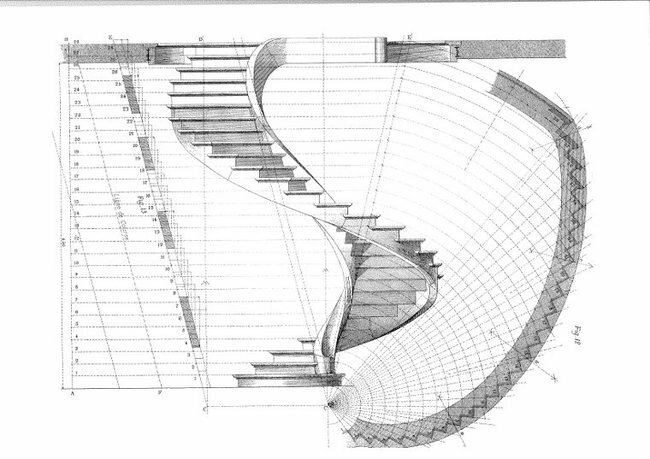 The project researches this reciprocal development of architecture and mathematics from 1800 to 2000 through the images, models, and problems of both disciplines. 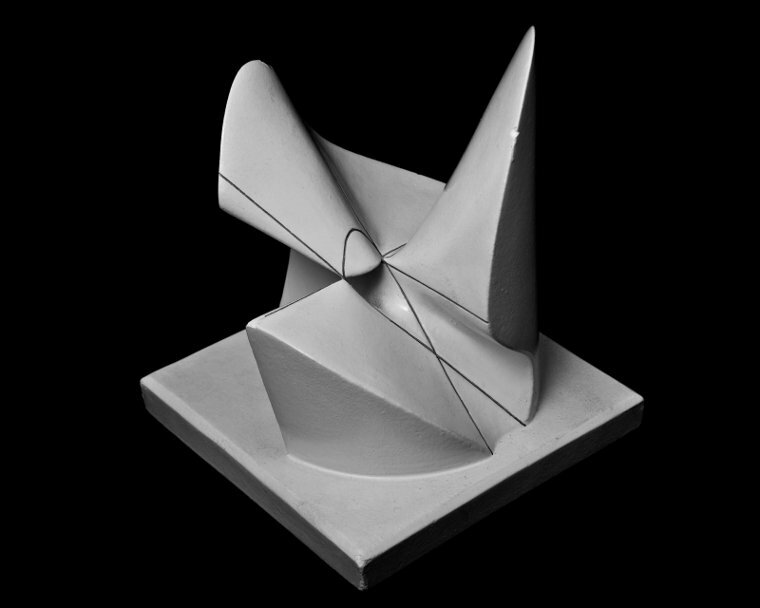 The project moves beyond strict disciplinary categories to uniquely treat epistemic and heuristic questions binding both modern mathematics (such as topology, information theory, and operations research, not simply proportional systems or projections) and modern design as a spectrum of logical form-making activities. Instances of mutual influence, from analytic geometry and mathematical drawing devices to the Ulm School and Design Science, will be contextualized in this spectrum to reconstruct a continuous history of design mathematics and computation. Andrew Witt is a designer based in Los Angeles, California. He is currently director of research at Gehry Technologies (GT) and a lecturer in architecture at Harvard's GSD, where he teaches on geometry, digital media, and design. He was previously a director at GT's Paris, France office, where he consulted on geometry and technology for clients including Gehry Partners, Ateliers Jean Nouvel, UN Studio, and Coop Himmelb(l)au. Trained as both an architect and mathematician, Witt has a particular interest in a technically synthetic and logically rigorous approach to form. Both his design and mathematical work has been published internationally. In addition to Harvard, he has taught courses on digital design at Ecole Speciale d'Architecture and SCI-Arc, and has lectured at MIT, Yale, ETH, EPFL, and Angewandte. He received an MArch (with distinction, AIA medal) and an MDes (history and theory, with distinction) from Harvard's GSD.